Driving down a steep slope with huge rocks along the trail, almost making it impossible to go further, I had to stop. If I go fast, I might flip and roll over to the side. If I go slowly, I might not have enough momentum to go over the rocks. But I pushed on, hoping it would be safe and fun. 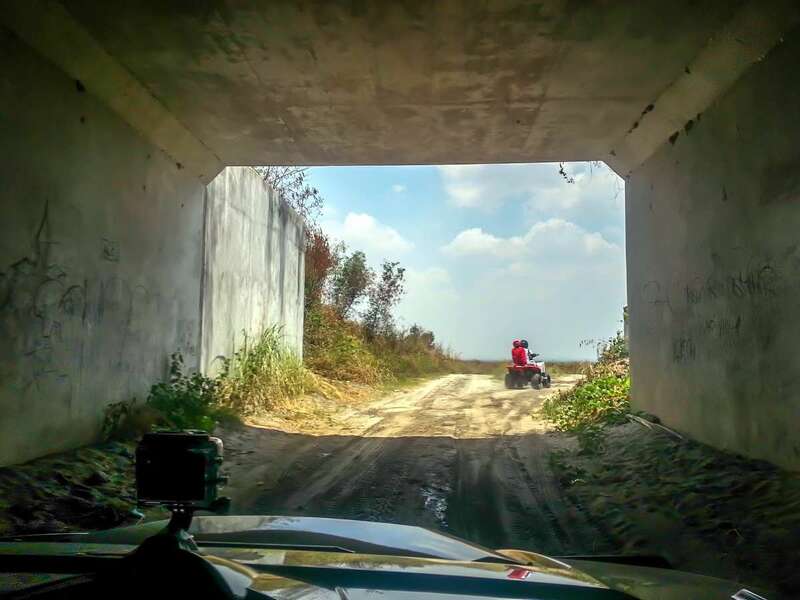 These are some of the things that can make the off road adventure exciting. 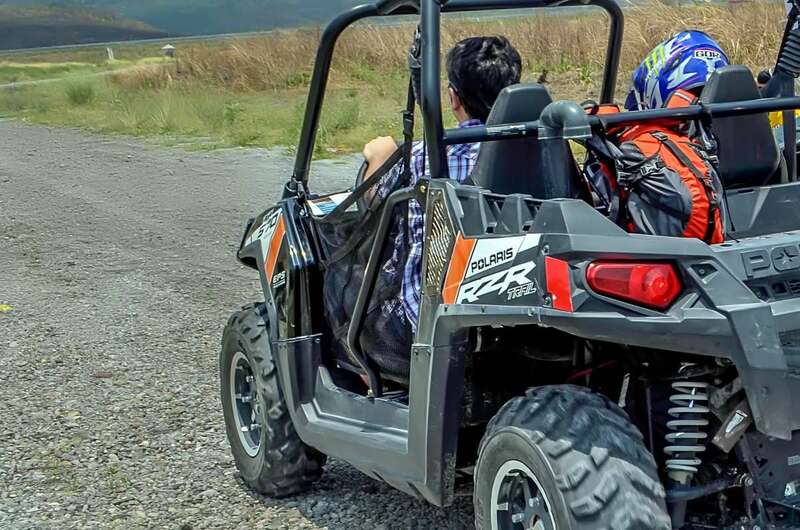 Try this at the Sandbox’s ATV and UTV off road adventure in Porac, Pampanga. I chose the UTV because it looked bigger and can accommodate a passenger. The trail during the first few minutes was just awesome to enjoy the view. I passed through a tunnel. I heard a faint sound of cars, it came from the expressway which was just a few meters from where the trail. Looking onwards was the magnificent sight of the mountains. Then the path became more challenging. It was like going through a hill, carved in the middle, with just enough space for us to go through it. When I approached the steep slopes, it became harder to take pictures. It was bumpy, the kind of bumpy that made me thank my seatbelts keeping me from bouncing out of the UTV. There was that fear that made me pump adrenaline. 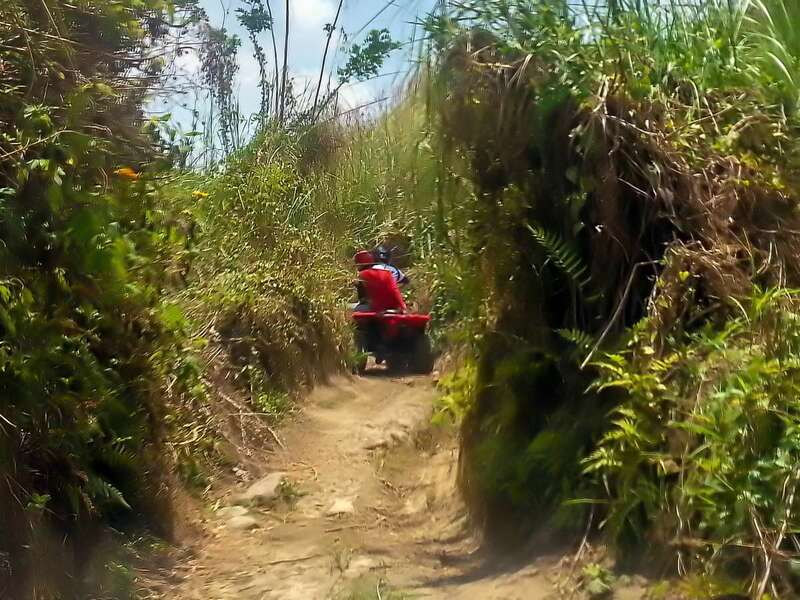 With the uneven rocks in front, the UTV wasn’t just on a steep slope, but was slanted positioned as if ready to roll over. I slowed down a bit and felt a huge relief when I arrived at the open area. I had to pause, go down, and look at the lahar formation. 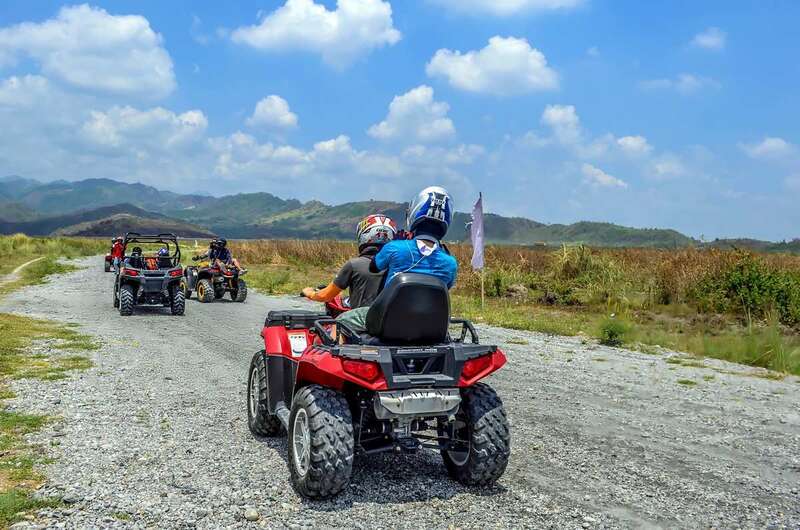 Lahar is what we call the volcanic debris spewed from Mount Pinatubo when it erupted back in the 90’s. The volcano expelled ash of frightful proportions carried by the wind and clouds that covered this area back then. The gray mountains around me aren’t really mountains but piled up lahar. After 30 minutes, the sun was scorching. My skin screamed to go back and seek the shade. So I drove back for another 30 minutes. If you want to do this activity, I suggest you do it in the early morning or late afternoon. If you do this between 11am and 2pm, make sure you put on sunblock and prepare for the very warm temperature. If you’re particular with dust getting inside your clothes, you might want to wear long sleeves and pants. It’s a dusty ride.